The role of Mozilla’s Firefox Quality Engineering team is to ensure the quality of our applications across a variety of platforms and branches, including Firefox for desktop and Android. We work on a wide variety of projects, aiming for high quality and timely releases of our products. 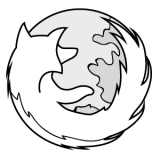 It’s great that you want to get involved with the Firefox QE team, and we would love to have you as a contributor! The easiest way to get started is to join us on IRC and we’ll be happy to guide you though the process. Just join #qa on irc.mozilla.org, say hi, and let us know you’re there to help. You can also send us an email on this public mailing list: firefox-qe@mozilla.org and someone will get back to you.